What do you think about the idea of a house with two faces? Because walking around a pond behind our apartment, all of the backs of the house that face the pond are pretty horrendous. The fronts of the homes are all beautiful, but there's no symmetry to the backs. No inviting doorway. 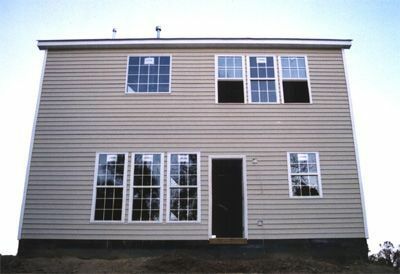 I want homes with two fronts. Who's with me? Finally we are getting down to the important issues. My house also needs a batcave. I will be with you on one condition. That the sides of the house are also the front. To many times I have seen sides that are so boring. So my proposal would be a symmetric/identical four sided house. Fool! No one sees the sides of your house!